Embark on a journey of transformation as one family from the Pine Ridge Reservation of South Dakota finds healing through the path of the heart. 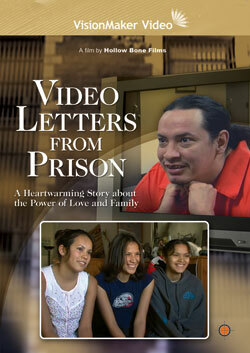 Video Letters from Prison follows the lives of three Oglala Lakota sisters as they reconnect with their incarcerated father via a series of video letters. The Poor Bear girls are not sure they even want to connect—but their mother, Cindy, helps them overcome reluctance and hurt to participate in the letters. The change in her girls is immediate and beautiful. Connecting life’s paths, Video Letters from Prison is a road flooded with emotions and spiritual growth.